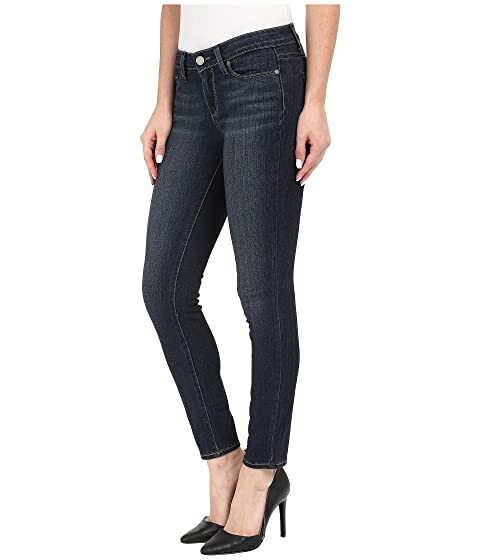 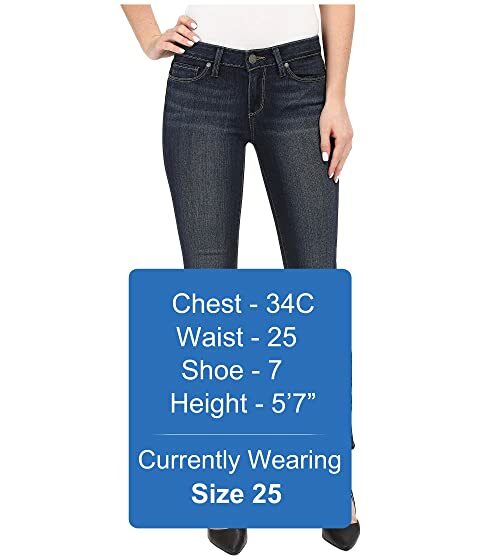 Ankle jean has a lowish mid rise, ultra skinny leg, and slim fit from hip to hem. 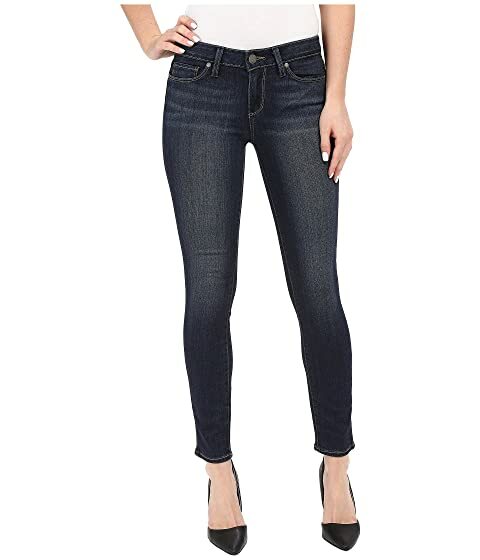 Transcend is a luxuriously soft 10 oz stretch denim that won't stretch out. 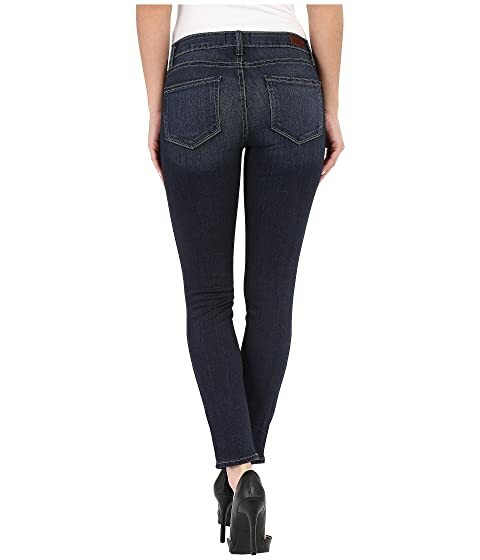 Dark blue Nottingham wash features fading on the front thighs and seat for depth.